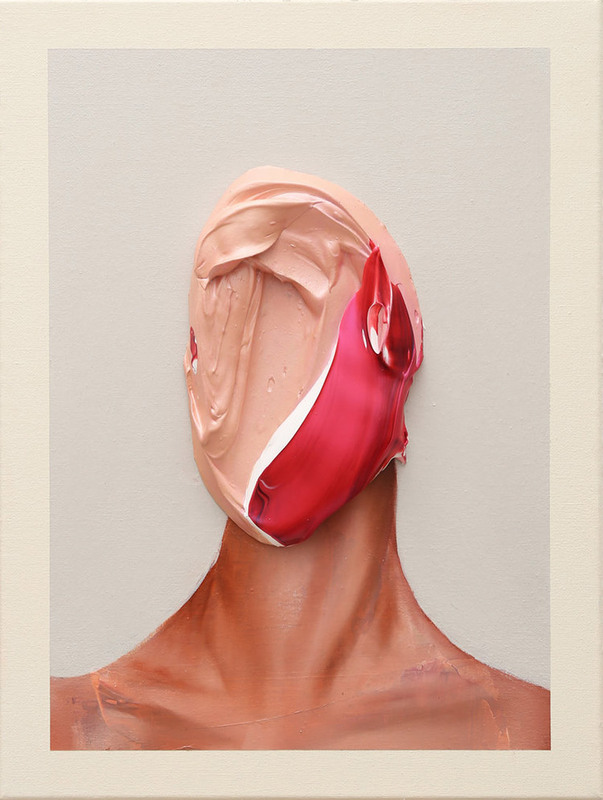 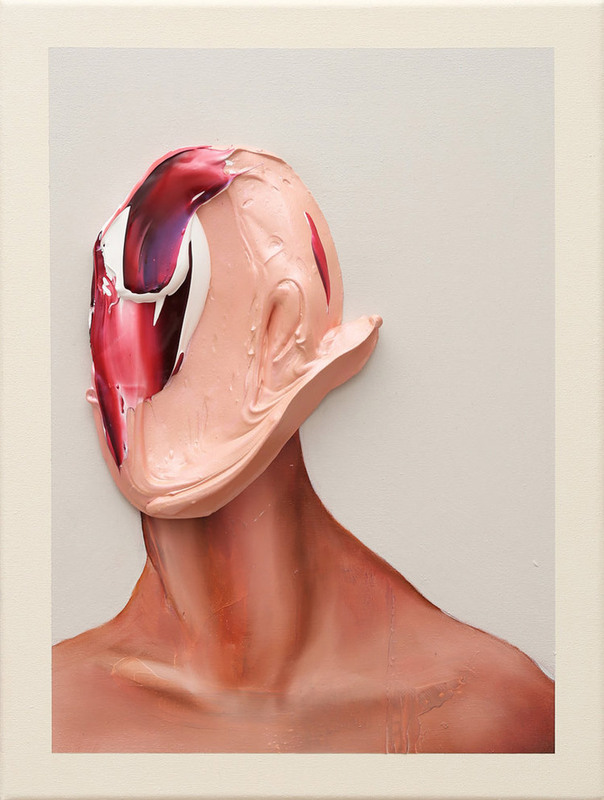 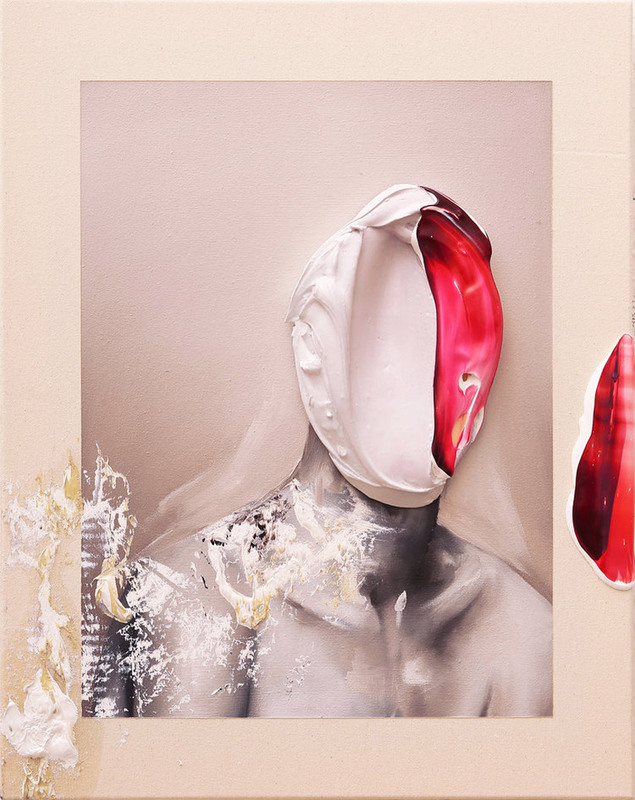 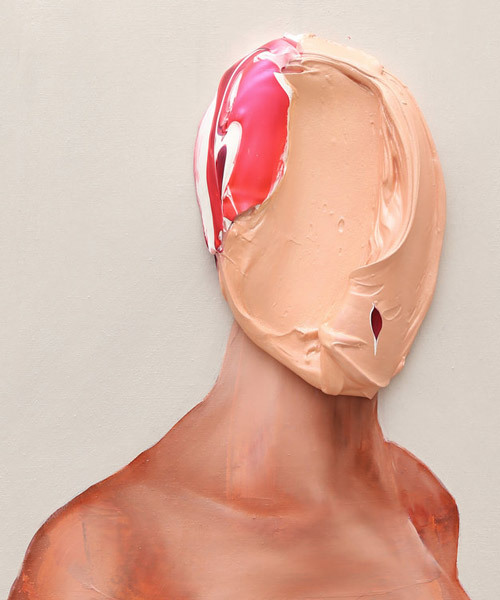 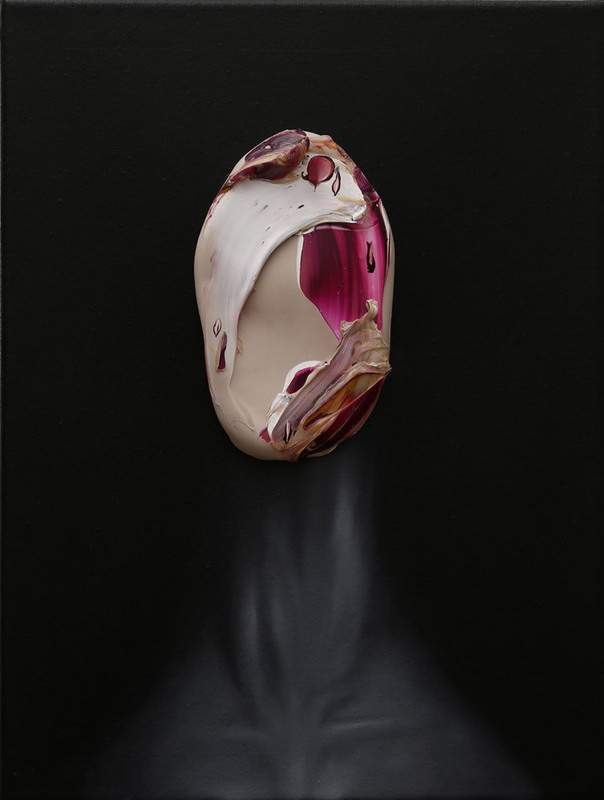 italian artist fabio la fauci presents a series of faceless portraits in his latest body of work ‘is it you?’ in a study that goes beyond representation, the berlin-based painter combines figurative techniques and plastic abstraction. 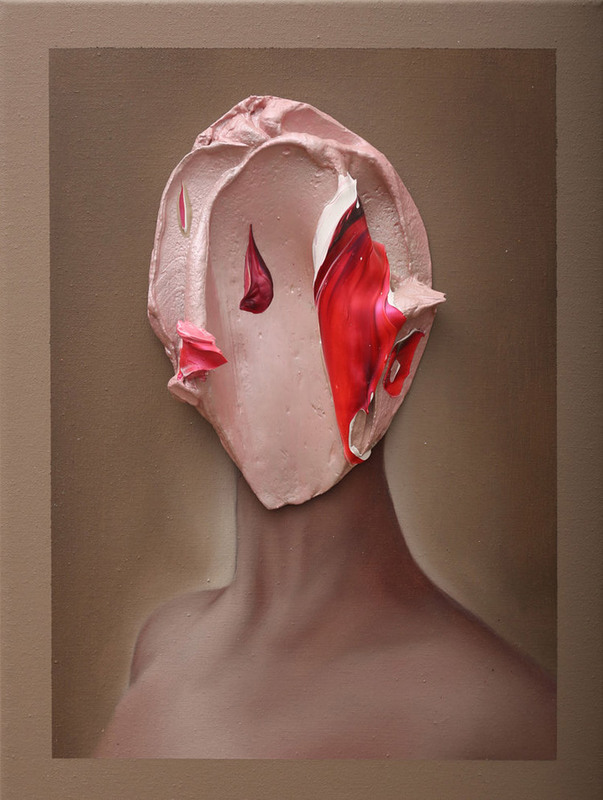 fabio la fauci slathers a thick layer of acrylic paint, seemingly pre-mixed or at least contaminated from other colours on his palette, onto his portraits. 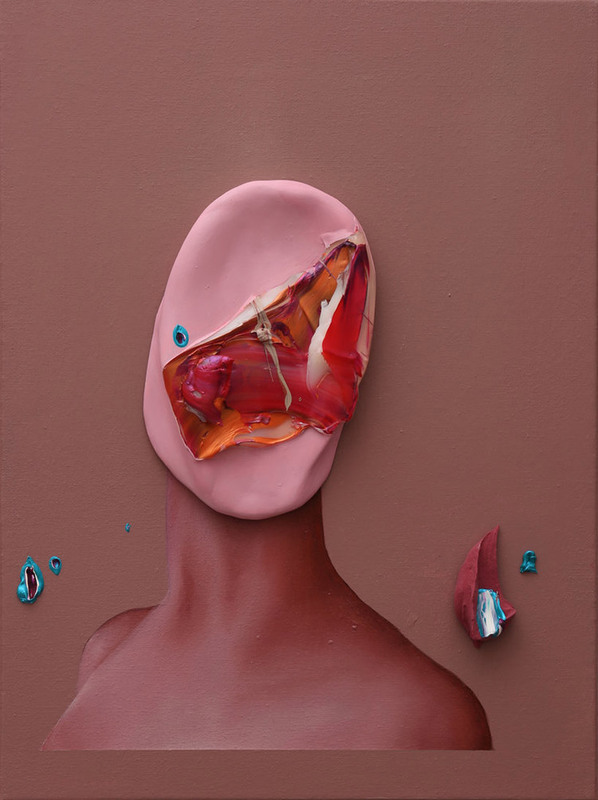 contained within an outline recognisable as the head, the material application abstracts all imagination of the figure’s facial features, creating a final piece of work that oscillates between abstract geometry and organic reality. 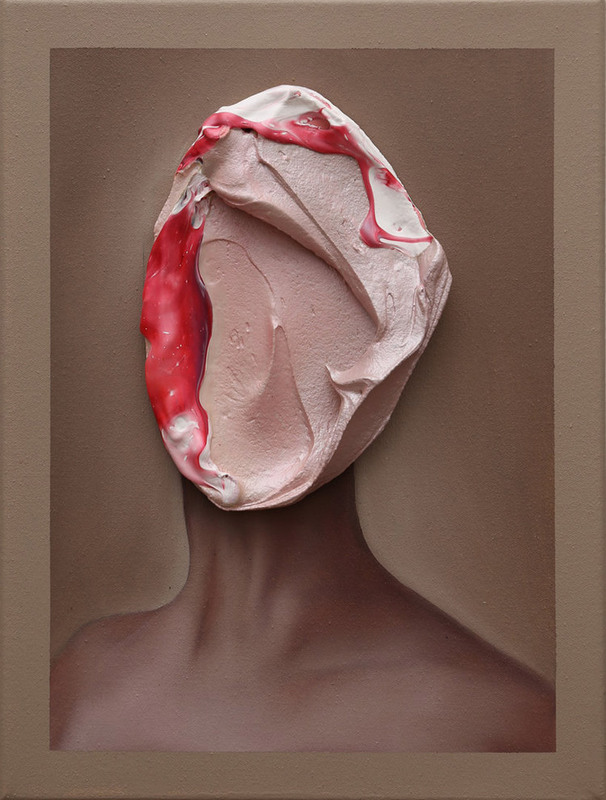 the ten faceless portraits continue the artist’s focus on the transformation of the image. 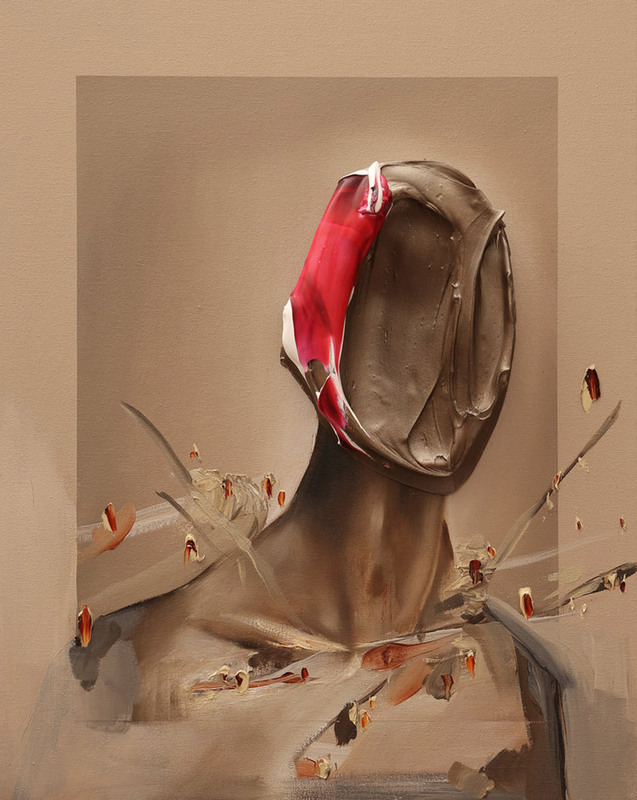 like fauci’s works from other series’, like alphabet and figure, various flesh coloured tones give life to forms which appear in a state of motion.